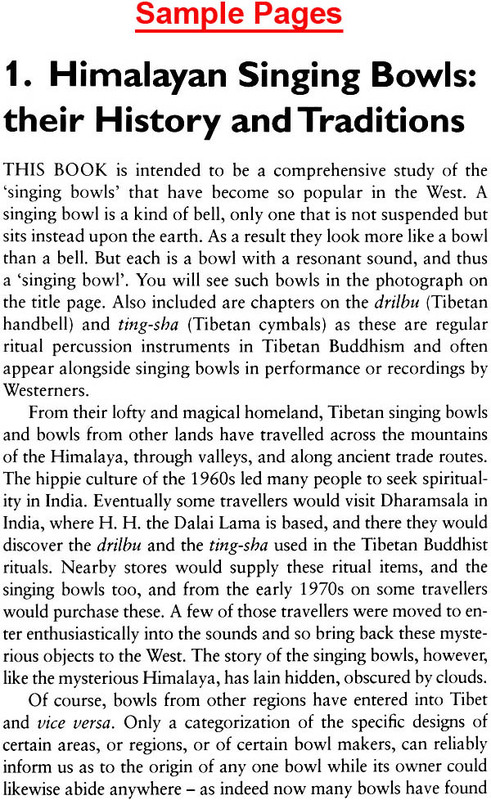 This is simply the widest study of the sacred instruments of the Tibetan region ever, covering singing bowls, dribu (the Tibetan hand bell) and ting-sha (small paired cymbals). 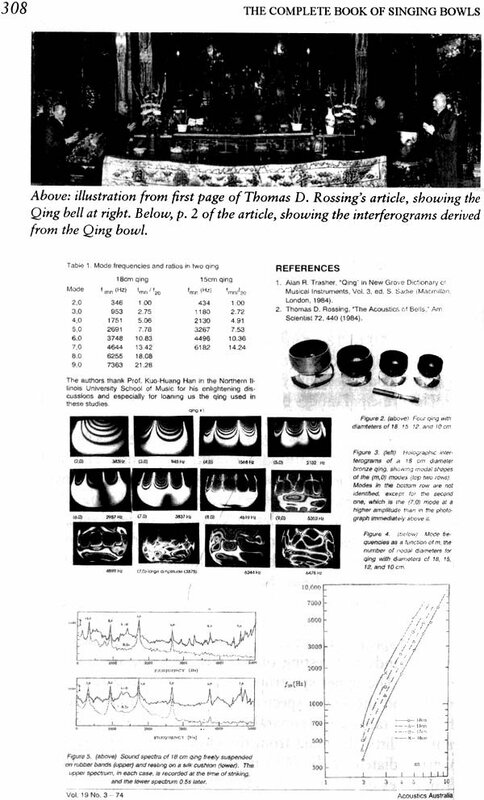 Its author is uniquely qualified, having begun his lifelong association with the bowls back in 1971, when they first started to appear in the west. He has also made no less than 105 recordings, most of them featuring bowls. 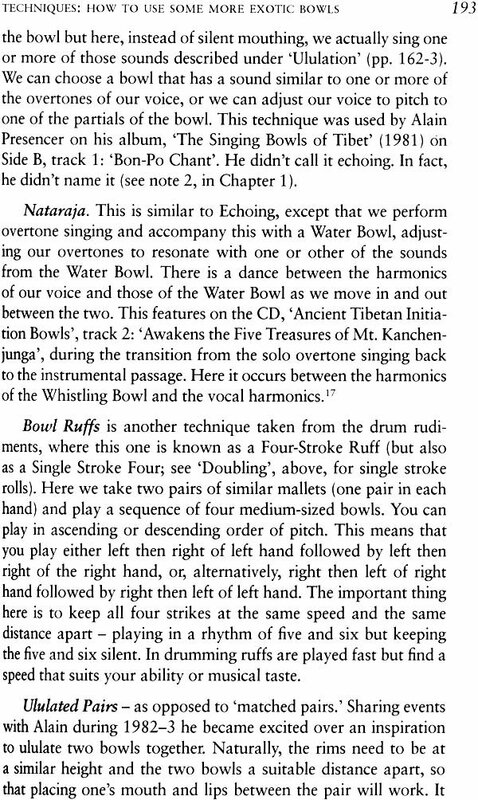 Frank thus offers forty year of closeness to singing bowls and their sounds in a form that will appeal to everyone their sound touches - whether those people approach them from a musical perspective, as sacred sound, or as instruments in sound healing. Those people approach them from a musical perspective, as sacred sound, or as instruments in sound healing. Covered in this book are no less than 250 different styles of bowl and the techniques that can be employed in drawing musical and consciousness - raising sound from them. Frank discusses basic information about how to choose the right bowl, the wands and mallets to use for each type, and continues into the yoga of sound (nada), mantra, and also the relation of different bowls to the zodiac, the planets and the chakras. 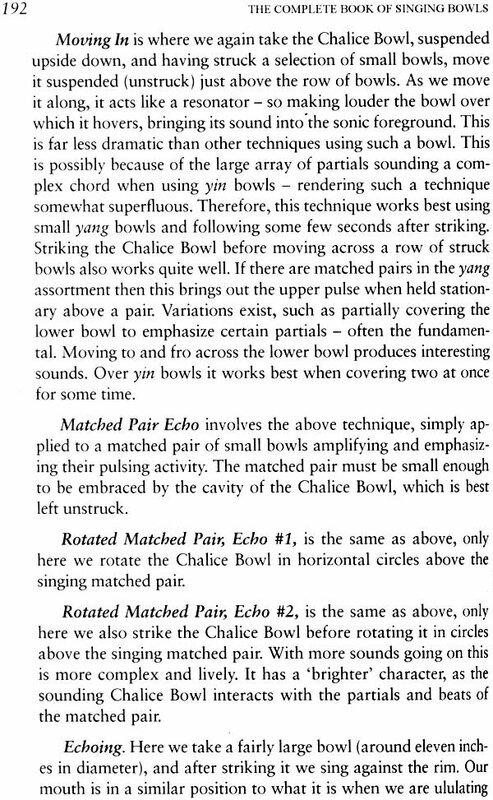 He separates these from concert instruments by a detailed analysis of all their fundamentals and partials and illustrates these with the cymatic photography of john Stuart Reid, never before applied to bowl sounds. He has many personal stories to tell. 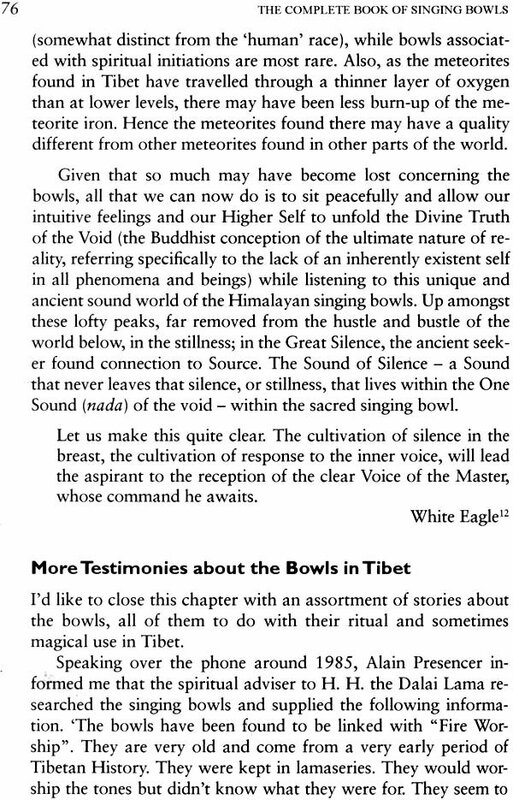 Frank writes eloquently of the awareness and integrity required of the bowl user, his relation to the ancient Bonpo priests, to Tibetan Buddhism and Vedic wisdom. He also writes as a percussionist of note and as a student of esoteric wisdom, as at home with the writings of Madame Blavatsky and Alice Bailey as with Nicholas Roerich, Mikhail Aivanhov and white eagle. 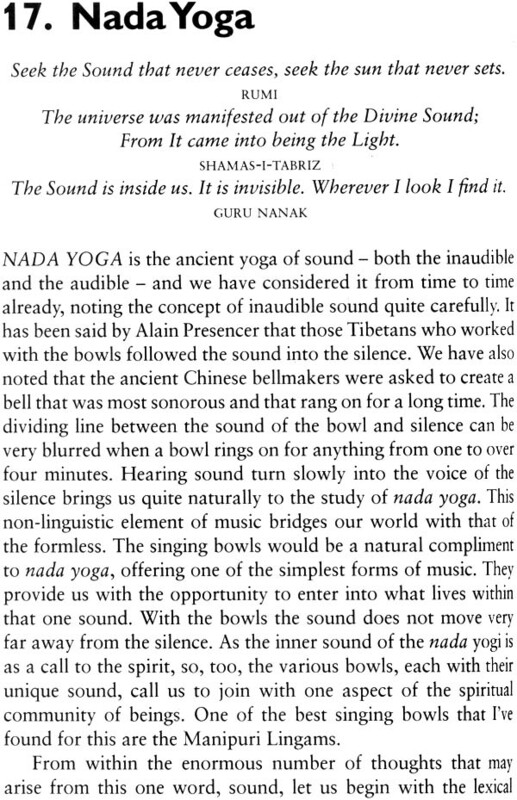 Above all his own meditation practice, and his aural super sensitivity, give the reader the richest encounter they likely to get with the most iconic statement of the individual consciousness - the sound of the bowl. This may be the only book you need on the subject. 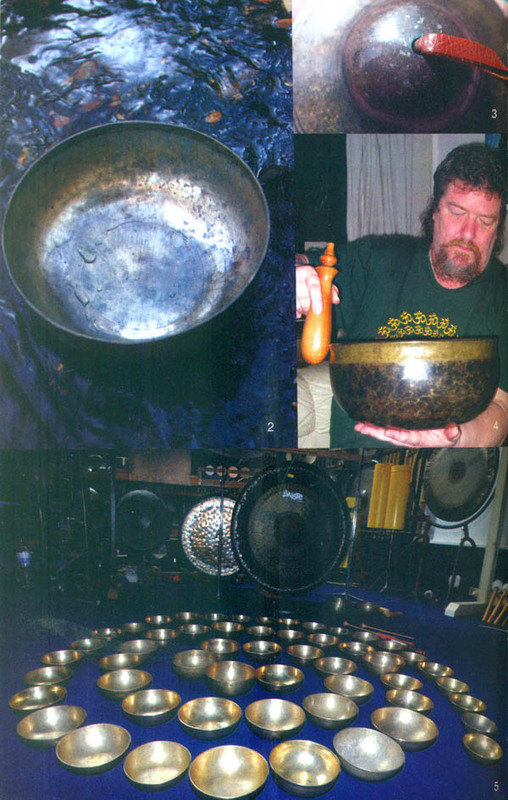 Frank Perry was a jazz percussionist in some legendary bands of the 1960s - including black cat bones - before he encountered the instrument that was going to give him lasting fascination, the 'bronze' bowl. 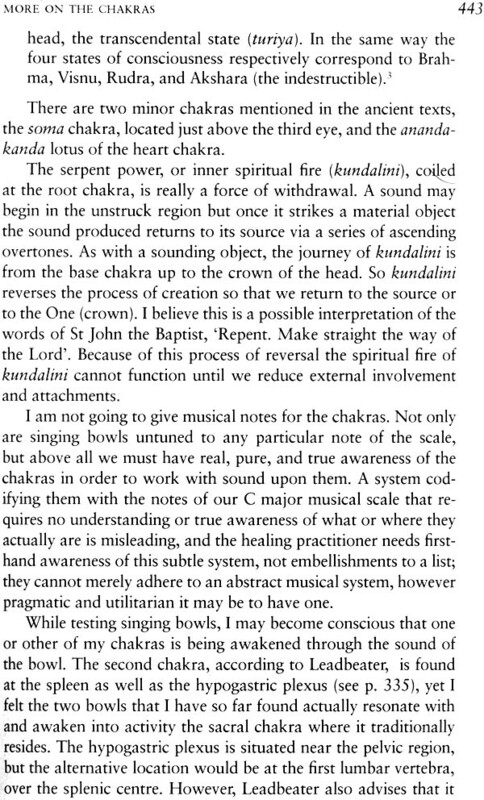 He has performed in spiritual and other spaces with them, recorded with them, and are a renowned sound healer. His best known recordings include 'deep place' and new Atlantis'. As john Stuart Reid has written, 'Frank Perry is one of those rare people who are totally committed to a subject and pursue it with such great passion that it inspires others'. He has influenced such musicians as Keith Tippet, Alex cline and Tim Wheater and is a master of improvisation. 'Frank Perry's THE COMPLETE BOOK OF SINGING BOWLS is a masterpiece of writing about the nature and power of pure sound as encoded into the consciously constructed instruments of the East. 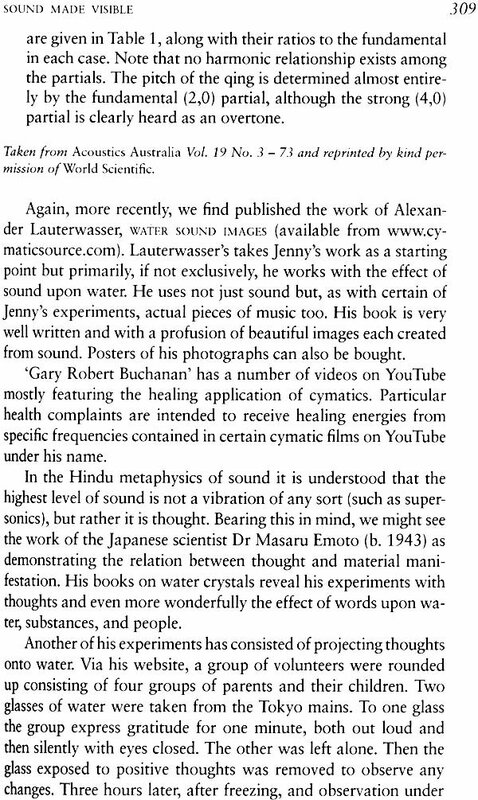 No other book in the field of working with sound for healing and spiritual development is as knowledgable, penetrating and comprehensive as this great tome. 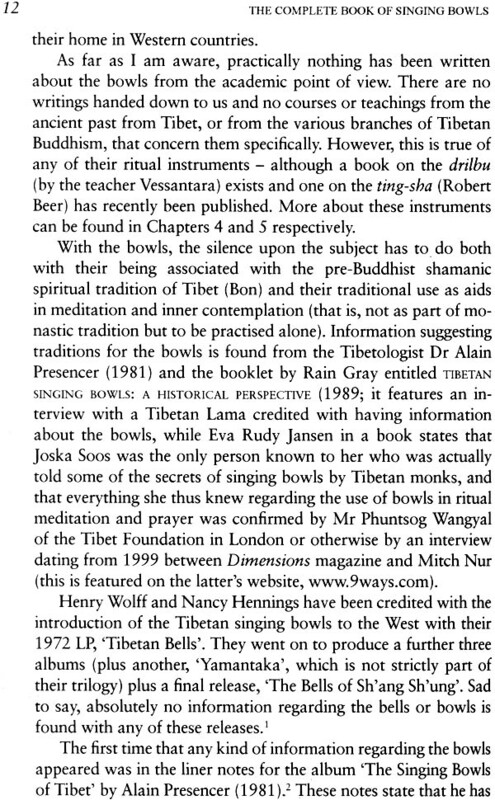 Contained within these pages is far, far more than an exploration of every aspect of singing bowls, instruments that Perry literally knows inside out through his enormous collection and varied use over many years of practice. 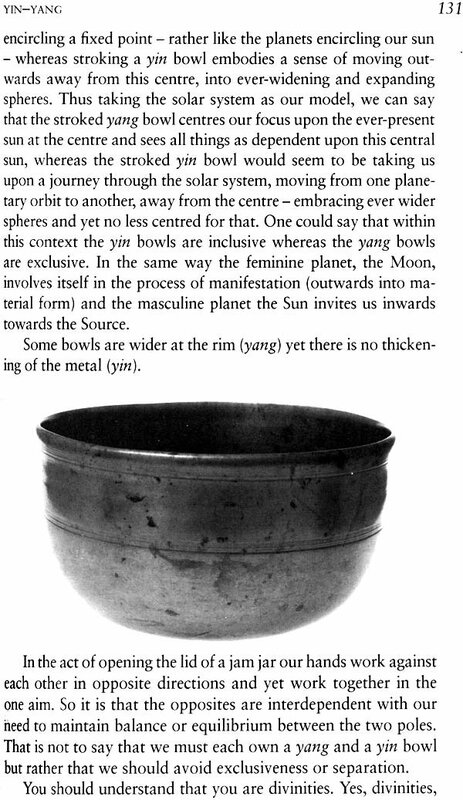 Each chapter is an in-depth study of what the bowls have to offer in relation to ancient symbolism, yin/yang shapes, astrology, chakras, mantra, nada yoga, overtones. 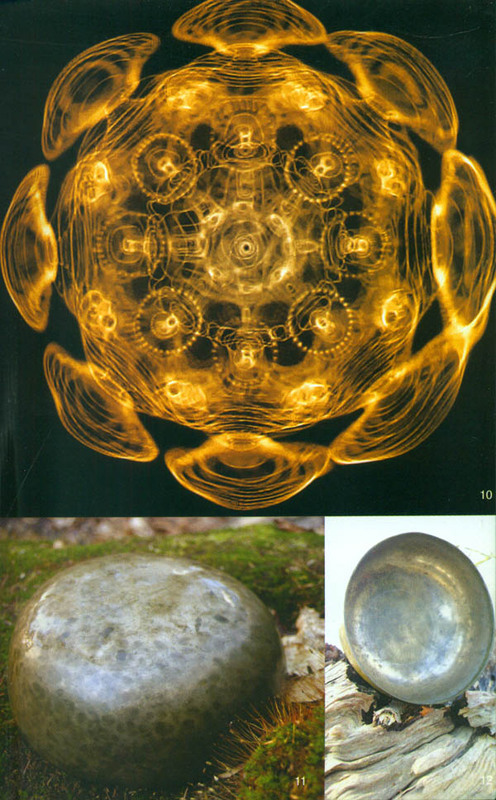 cymatics (wave fields), planets and musical temperament. Along the way we are given much knowledge of these topics in and of themselves - for example, the use of the voice. The book balances perfectly the historical, theoretical, spiritual and practical sides of these profound instruments and their metals. 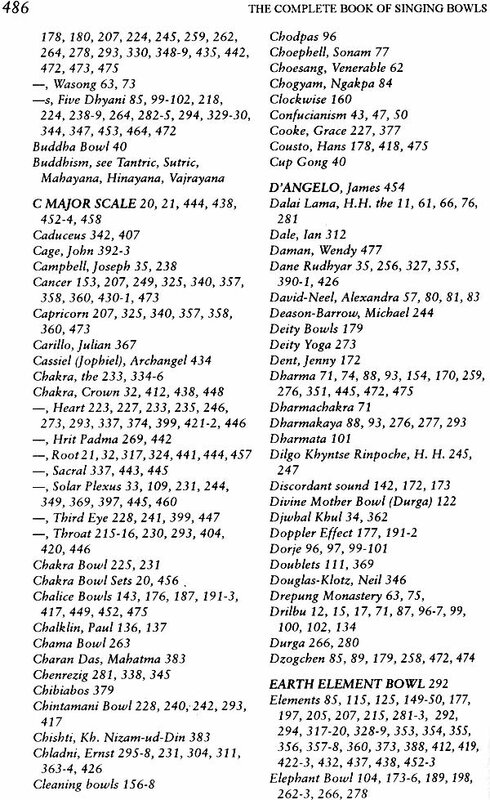 Very helpful in absorbing Perry's wisdom are the many illustrations, photographs, tables and diagrams. 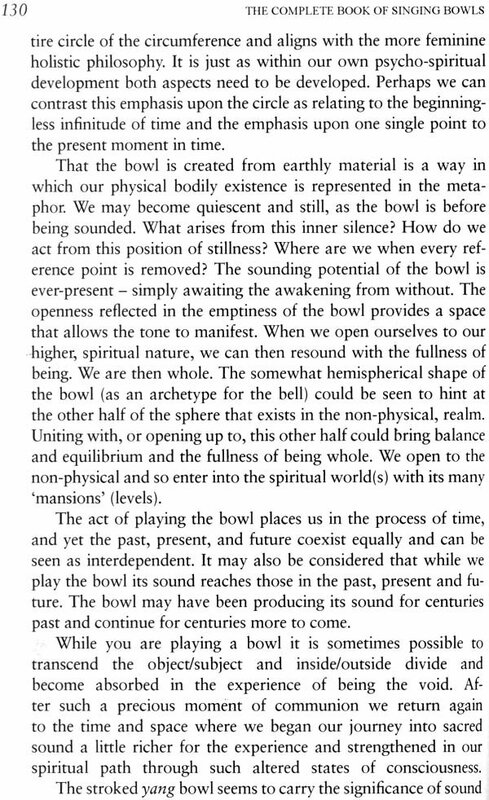 What especially sets it apart is how Perry places them into a spiritual, historical context such as no other text has done and thus makes the bowls (and bells) living, breathing entities. 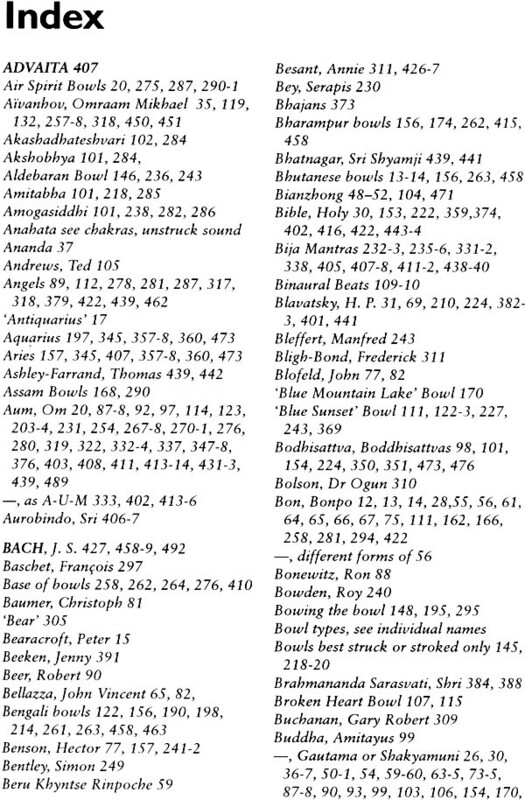 The tome is scholarly but not in an academic sense. 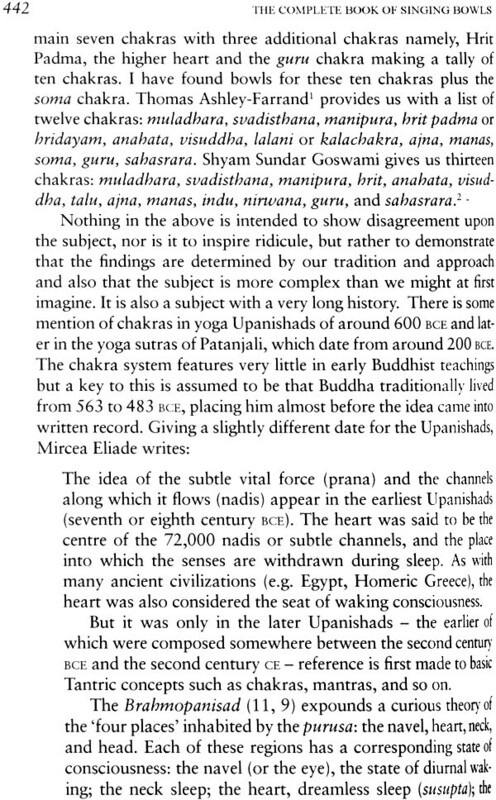 It is simply thorough and the writing is clear, direct and substantial without unnecessary digressions. 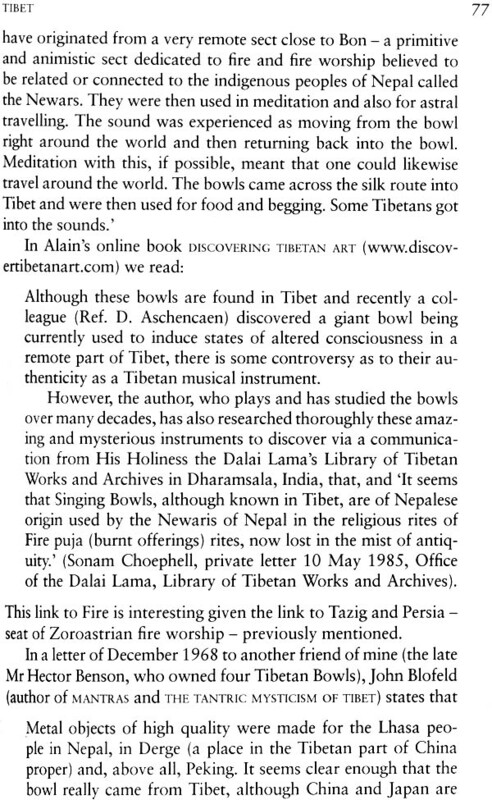 Thus HIMALAYAN SOUND REVELATIONS will appeal both to those who wish to make practical use of singing bowls (choosing them, playing them properly and even caring for them) and those who would like to understand the historical context of the bowls and their role in healing and spirituality. HIMALAYAN SOUND REVELATIONS is truly a universal work of a music master. 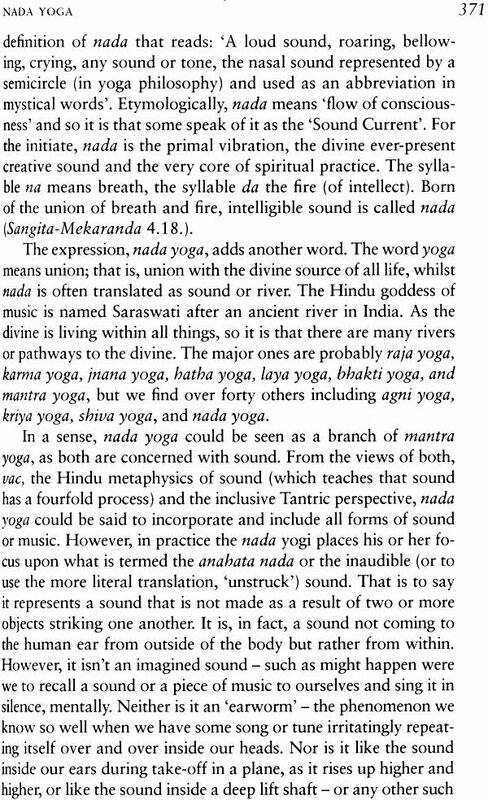 It is bound to become a classic and belongs on the shelf of every serious student of Eastern music, meditation and spirituality.